A major stretch for me! 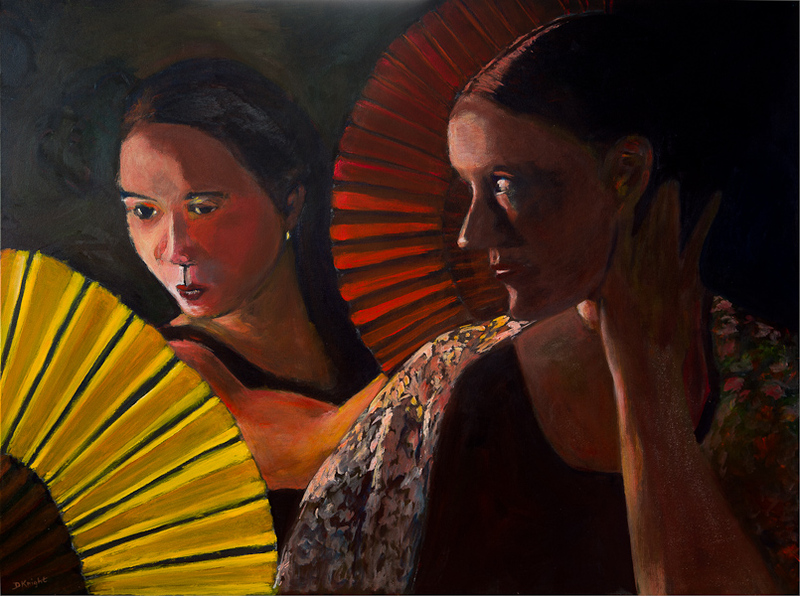 This painting, of two flamenco dancers preparing for a performance, is the result of a workshop with Nicholas Pearce. It represents a very large stretch for me in a number of ways. The canvass is large – 30 x 40, and the painting is done with a large “trim painting” brush. The palette is also confined to 4 colours (plus white), and mixing is done on the canvas, not on a palette. Despite these real challenges, I like the final results! Interestingly, painting the shawl, which is one of the more subtle and complex parts of the image, took the least time of any area! I hope you like this new direction.